A credit card guarantee is required on all reservations regardless of arrival time. Indivisual plans may vary. See plan display for more information. 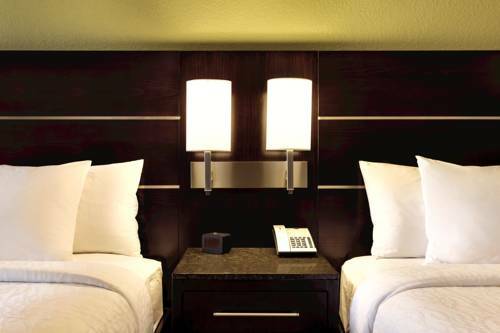 RESERVATIONS MUST BE CANCELED *24 HOURS* PRIOR TO ARRIVAL DATE TO AVOID A PENALTY ONE NIGHT ROOM AND TAX CHARGE. **CERTAIN TIMES OF THE YEAR A NON-REFUNDABLE CANCEL POLICY WILL APPLY**. INDIVIDUAL PLANS MAY VARY. SEE PLAN DISPLAY FOR MORE INFORMATION. -Guests can enjoy casual meals in their rooms from 5PM - 11PM daily. Our Pantry offers fresh wraps and salads as well as microwaveable dining options to enjoy in the comfort of your guestroom. Also available are snacks ice creams alcoholic beverages sodas and sundries. Enjoy freshly prepared American favorites in a relaxed setting. The grille serves breakfast as well as dinner. The menu includes such favorites as the Mobley burger Tuscan Ragout and a NY Strip Texans are proud of. A children*s menu is available. Open Mon - Fri 600AM-1100PM/ Sat - Sun 7AM - 11PM.